Gaze Into My Crystal Ball! Thursday, November 20, 2014. Yes, that is my crystal ball pictured here. I do not practice divination. It is simply a prop I used years ago for a magazine cover image. 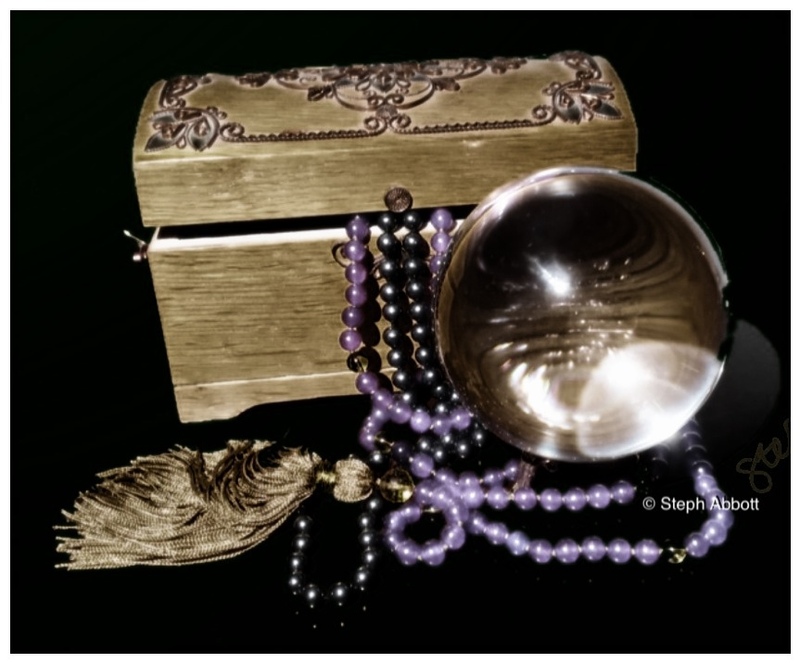 I wrote the haiku “Gaze Into My Crystal Ball!” inspired by a prompt from Writing.com: “As they peered into the crystal ball, the foggy glass cleared and an image shimmered into view…” I created the image using Photo Wizard and ArtRage 3 on my iPad.